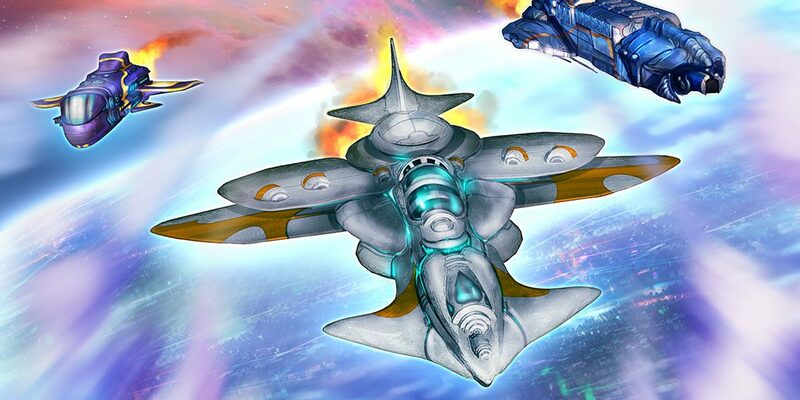 This week’s Arena is called Commitment to the Cause, also known as Super Hyper Turbo Star Realms (non-scrapping edition)! It features Colony Wars and United Command, so the game is already going to be at a faster tempo than “vanilla” Star Realms. 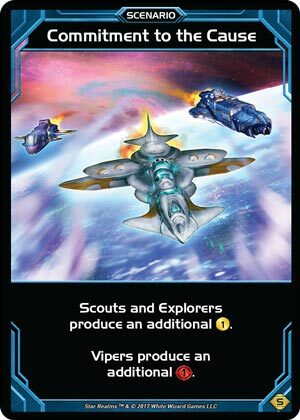 The scenario is what makes this week Super Hyper Turbo speed: Vipers generate +1 combat and Scouts and Explorers each generate +1 trade. The +1 combat is meaningful but I cannot overstate how different the game is when the player going second is guaranteed to have 6 trade on turn one, and will have 8 trade on average. 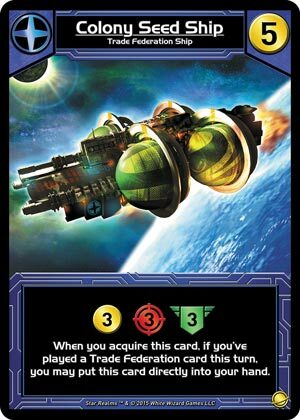 While there is some disagreement about how much the first-player advantage is in Star Realms, most top players believe it exists. This week’s Arena rules put player one at a significant disadvantage. But it isn’t hopeless for the first player, as I learned the very hard way. 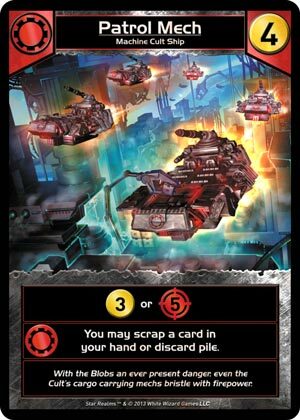 Hopefully, this article will give you the tools you need to be ready for the time when Holy Mother of Blobs They Got Emperor’s Dreadnaught and Unity Station before the first shuffle?!!?!?! My four arena runs were 1-2, 1-2, 1-2, and finally 6-1 to pick up this week’s promo: Patrol Mech. This is the most important lesson I learned this week. Every purchase you make gives your opponent an opportunity to purchase an 8-cost card on their turn, if the trade deck flips up something great. Take the lesson you likely learned last week about Events, and apply it here. Don’t buy cards just because you can! Cards that provide 2 trade that normally are good, are terrible in this format, because your Scouts provide 2 trade. Think carefully before you buy anything that provides trade. Unlike last week, you have additional information to work with to inform your purchasing decisions. Look at your opponent’s deck, especially when they have 7 or fewer cards left. Can they even purchase an 8-cost card should one appear? If not, you can be a bit more aggressive with your spending spree. Just remember that every card you put into your deck makes it less likely that you draw your best card. Be sure that you don’t buy so many cards that you find yourself shuffling your deck less than your opponent. Expensive cards are more important than ally abilities, this week. Games are faster (generally), but you still want to scrap your starting deck cards. This week is absolutely Scrap Scouts First, but not before your fifth turn. Why? Because you want to get some 6+ cost cards into your deck. Scrapping Scouts early will hurt the chances of being able to do that — and it is the 7+ cost cards that will win you the game in this format. It is more important to play a high-cost card than it is to hit your ally abilities this week, in my opinion. It is very possible that the person who purchases the most 1-cost cards loses every single game this week. That was certainly the feeling I got! There are a couple of exceptions to this — but if you want to play from a winning position, don’t try to avoid buying cards that cost 1 entirely. I’d avoid the 2-cost ones most of the time, too. Cards in the starting deck are worth something like 0.5 trade, in the normal game. Now, they are worth about 1 trade. Keep that in mind when you consider buying cards that cost 1! You aren’t really improving your deck that much! 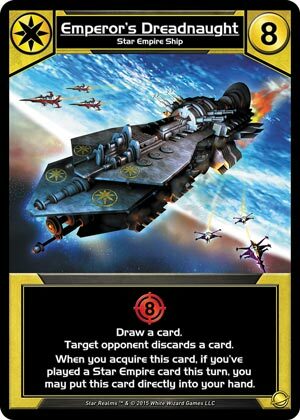 While there are few absolutes in Star Realms Arena, I am pretty sure this is one of them: This week, if you are going first, you need to buy cards assuming your opponent will have much more damage potential than you will have. If there is a 7+ cost card in the opening trade row, you can’t buy it but your opponent likely will. The only way you get a big card into your deck in the early game is if your opponent buys incorrectly. You need to defend! I lost almost all of the games where I went first until I changed my strategy to reflect the disadvantageous position player one is in. I went 1-5 in my first six games where I was the first player, but won all three games in my final arena run where I went first. The biggest change was understanding my role: player one is the counterpuncher. I purchased bases that cost 3 to 5 — something you won’t do much of this week as player two. If a base provided 5 or more defense, I grabbed it. If it was a Trade Federation base, any of them, I grabbed that too. Why? I need authority gain to stretch the game out. Defense is not enough. To effectively counter-punch you have to build the best long-game deck you can. That means scrapping. Because of the multi-faction cards in United Command, this isn’t as difficult as it otherwise can be. Blob’s trade row scrapping abilities are almost as important as last week. If you can control the trade row, you can completely negate your opponent’s plan to win. I lost many games, despite having a good start, because my opponent ensured that I did not start a turn with a card that costs 5 or more in the trade row. 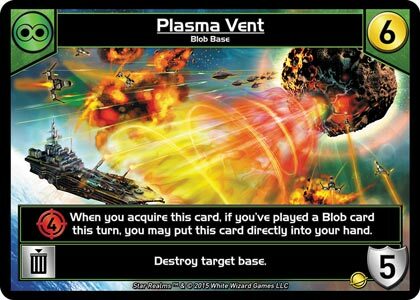 Obviously, it isn’t possible to completely prevent that from happening, but with the Blob cards you have many more chances to find good cards for your deck and to deny good cards for your opponent. When all else fails, go fishing. If it doesn’t feel like you are ahead, look at your opponent’s deck and see how likely it is that you’ll lose. If they’ve got the firepower to destroy your empire, it is time to get desperate! 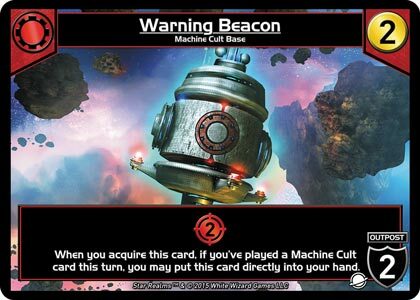 Warning Beacon is not really a good card this week, unless it is activating a key ally ability or giving you just enough damage to clear off a key base. But if the situation calls for it, there is nothing wrong with buying cheap cards on the hope that it will appear. There are three in the deck, which starts at 92 cards total this week. It isn’t impossible to find them… There is also one copy of each of Colony Seed Ship, Plasma Vent, and Emperor’s Dreadnaught in the deck, and any of those cards can turn the tide. Go big. Really, that is how you win this week. I’m serious. Andrea Davis is an award-winning designer and producer. She has designed Star Realms promos, Hero Realms Boss Decks, and cards for Epic Card Game. Andrea is currently pursuing a Master’s Degree in Game Design and Development at the University of Limerick in Ireland.